The PGHS Music Department is hosting their 7th Annual Fall Festival & Holiday Bazaar on Saturday, November 12, 2016 from 10:00am to 4:00pm in the PGHS multipurpose room. Pleasant Grove High School is located at 9531 Bond Road in the City of Elk Grove. We need volunteers to help out at this event. Parents can click on Holiday Bazaar Volunteers to sign up. Students can sign up in the band room. Last year this free event attracted more than 40 outstanding crafters, artists and home-based retailers, offering the community an opportunity to shop for the upcoming holidays in a relaxed and festive atmosphere. Shoppers looking to stretch their holiday shopping dollar, as well as looking to find unique gift items will be impressed by the quality and variety of items for sale. Past events have been highly complimented for the quality and variety of the merchandise - it's like having a fabulous boutique mall right in our own backyard! The Bazaar is inside and will take place rain or shine. This event benefits all the music and related programs of both Pleasant Grove High School and Katherine Albiani Middle School. From points north and south, take Hwy 99 to Elk Grove and exit at the Laguna Blvd./Bond Rd exit. Go east on Bond Rd for 2.5 miles and you will see the campus on the left. Turn left onto School Loop Rd. to enter the campus, then right through the drop-off loop. From points east and west, take Hwy 50 to Bradshaw Rd. and exit the freeway southbound onto Bradshaw Rd. Stay on Bradshaw approximately 10 miles to Bond Rd. Turn right onto Bond Rd. and enter the campus by making a right turn onto School Loop Rd. Place: Pleasant Grove High School Multi-purpose Room. Set-up for vendors: 8:30 a.m. 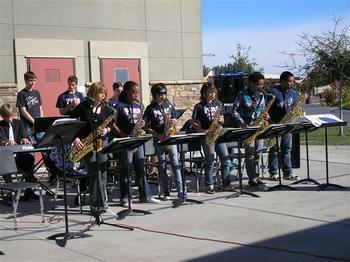 Event: 10 a.m. to 4 p.m.
Jazz Band Performance: 11 a.m. to 12 p.m. The Jazz Band will be performing a concert at 11 a.m. for your listening pleasure. Free and ample parking is available adjacent to the multi-purpose room. For further information, contact us at pghsbandboosters@gmail.com. Thank you to the vendors who are joining us this year! We look forward to a fun and festive event! 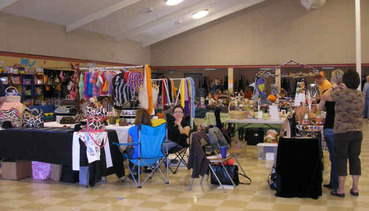 We have over 40 wonderful variety of vendors at this event. Please help us spread the word. Please contact us with any questions at pghsbandboosters@gmail.com.